‘The Dawn’ begins our journey into the soul of Sami Yusuf’s repertoire. Masterfully arranged, this original composition by Sami Yusuf incorporates both Eastern and Western modal systems. A seamless marriage of the Orient and the Occident (representing Sami Yusuf’s own identity), it pushes through boundaries and incorporates instruments from the eastern and western parts of the Islamic world. We hear the distinct sounds of Persia, Ottoman Turkey, Egypt, Syria, the far east to China, then move west to Greece and Andalusia. The sounds join at times yet each individual land’s voice is heard. On this musical odyssey we perceive that the love of the sacred unites us all and that our destinies are intertwined. What can I do, my love? Caught in the mountain air? Who will relieve my pain? Who will ease my sorrow? Who will help a passionate lover? Recorded and filmed at the Dubai Opera on the 16th of December 2016, this concert explores traditions from over one thousand years of the cultural and sacred music of Andalusia, North Africa, Arabia, Khorasan (Greater Persia) and Asia. 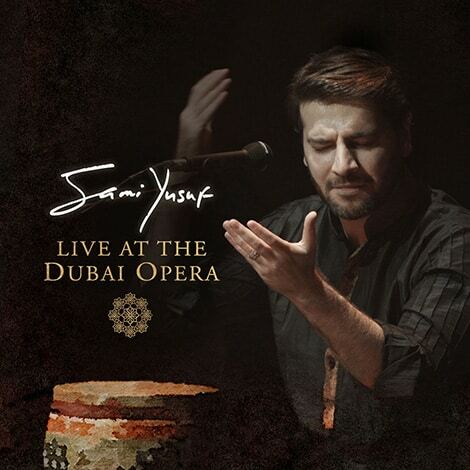 Sung in multiple languages (including English, Arabic, Persian, Urdu, Punjabi, Azeri), this exhilarating performance by the multi-instrumentalist, composer and renowned singer Sami Yusuf brings together world-class musicians from around the globe to take listeners on a musical journey of discovery. This concert is a celebration of the sacred, intended to transform the listener with a wealth of spiritual music and poetry. Creative and imaginative, yet rooted in tradition, the sounds evoke at times exuberance and at other times meditative wonder. The hearts of performers and audience alike will be moved by the revelations found in this joining of music and poetry from worlds that are different on the surface but in whose depths there is profound unity. The DVD (+ Audio CD) package includes 19 tracks, 4 Bonus tracks + Behind The Scenes, Exclusive Interview with Sami Yusuf as well as a beautifully designed comprehensive booklet with detailed descriptions for all songs.